Recent high concept efforts like Rocket League and Disc Jam have succeeded in melding together very different things – racing and soccer, tennis and air hockey – to create competitive games fun for wide audiences. A new project that launched a Kickstarter campaign today hopes to deliver on something similar. Touchdown: Armor League comes from Ares Games, an experienced overseas developer making their first move into the international market. The game is being pitched as “football meets action arena shooter” and could be compared to the VR release of RIGS. It’s planned for PS4, XB1, and PC with early access expected late in the year. In Touchdown: Armor League, each team is made up of 6 players. It’s up to you to carry the ball past the enemy Touchdown line by any means necessary to win your team points. 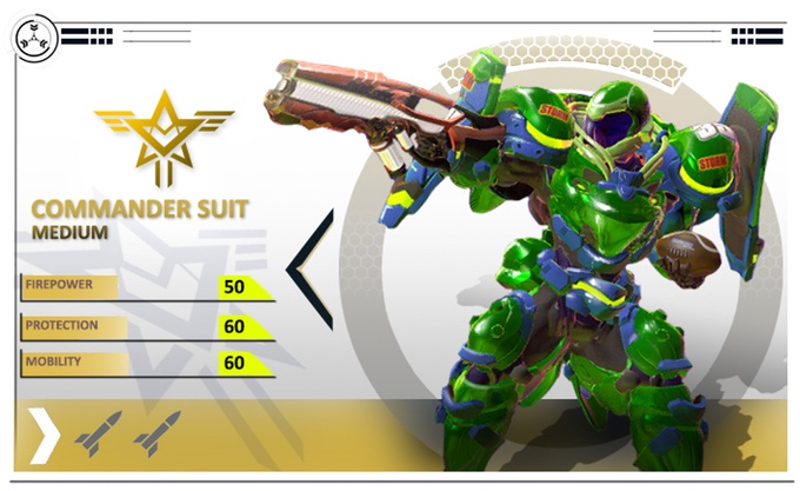 Blast opponents out of the sky, use rocket boosters to create sneak attacks, and even fully obliterate enemy power suits. Show no mercy. A pledge of $19 is good enough to get a digital copy of the game when it releases along with access to a beta. Higher tiers of course offer additional perks. Mutant Football League is the lone example of real success through crowdfunding for a sports game as that one was able to capitalize on the nostalgia and name recognition from the original Mutant League Football. Touchdown: Armor League will face an uphill battle to reach its funding goal but it at least appears to be a well-planned campaign featuring a strong pitch with extensive detail and assets demonstrating the concept.